Following the official look at the upcoming Air Jordan 10 "OVO" set to release very soon, photos of the Air Jordan 12 “OVO” have surfaced as well! While we've seen both of Drake's Air Jordan 10s many times in the last few months, his Air Jordan 12 collaborations have kept it very low-key. 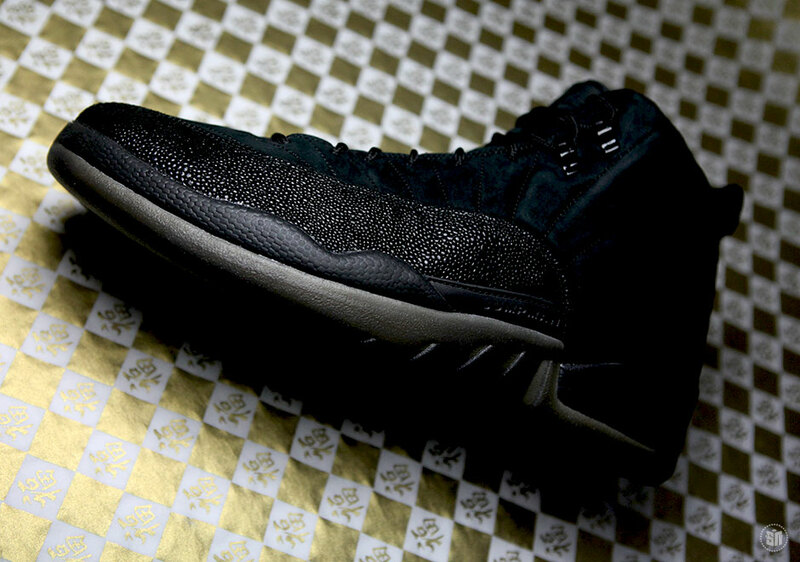 Today, we've got a very detailed look at the black Air Jordan 12 “OVO." The sneaker sports nothing but premium materials. Black nubuck on the upper is complimented by matching stingray textured leather. A smokey black translucent sole compliments the look as OVO branding on the insole completes the look. Take a good look at the photos above, and let us know exactly how you feel about the Air Jordan 12 “OVO!"